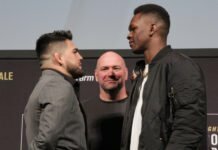 UFC Fortaleza: Can Renato Moicano Vanquish the Legendary José Aldo? 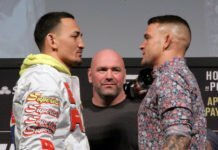 Home Opinion UFC Fortaleza: Can Renato Moicano Vanquish the Legendary José Aldo? José Aldo is looking to end the final year of his career on a high, but Renato Moicano is looking to blaze his own path through the former champion in the co-main event of UFC Fortaleza. The UFC featherweight division is arguably more competitive than it has ever been. 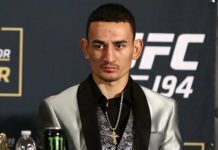 Max Holloway is arguably the best the weight class has ever seen and the list of contenders behind him is a murderer’s row of talent and athletic prowess. 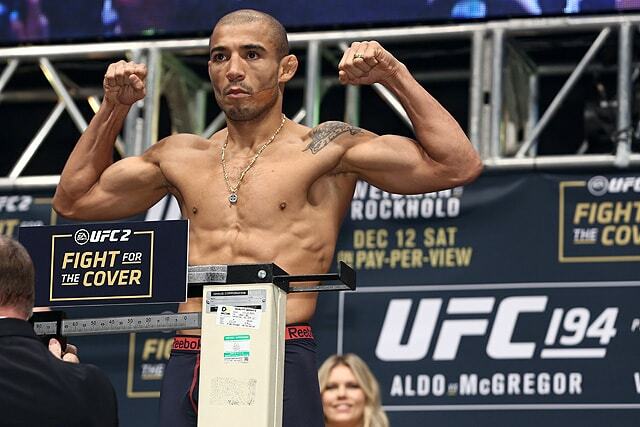 But besides Holloway, the biggest name that looms in the division is former kingpin José Aldo who will look to turn back the surging Renato Moicano in the co-main event of UFC Fortaleza. A legend meets a rising challenger! In the last four years, a new wave of superstars has arrived to triumph as he did years ago. His 13-second loss to Conor McGregor was as unceremonious an ending as a champion of his stature could suffer. 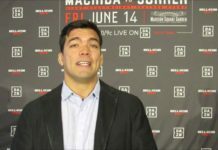 Shortly afterward, he encountered a legend in the making in back-to-back losses to Max Holloway. 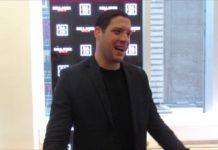 He has been at odds in the past with the UFC, but says that his decision has nothing to do with his relationship with the promotion. 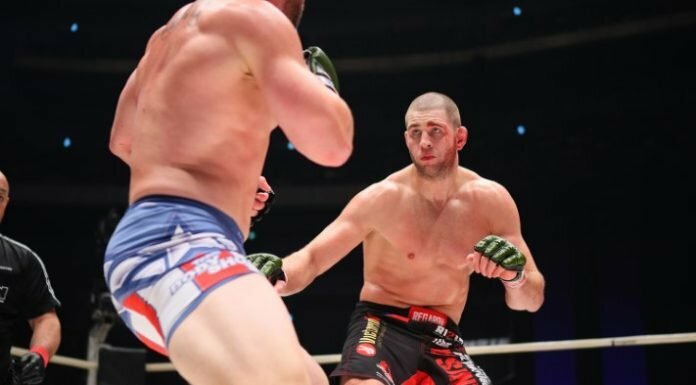 While his last outing against Jeremy Stephens showed that he continues to take his MMA career seriously, he stated that his decision is as simple as the fact that it has been his plan for a while and that he is satisfied with what he has accomplished. Renato Moicano is respectful of his countryman, but he is fully intent on going through Aldo to get to the summit himself. 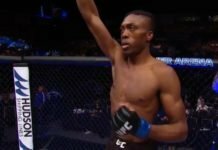 “Mohawk” has quietly put together an impressive run in just six fights in the UFC, not competing in 2015 due to injury but still defeating names like Jeremy Stephens and Cub Swanson during that span. His lone loss, to Brian Ortega, was also very competitive before Ortega turned the tide late in the bout. While Brazil is likely to be in full support of Aldo, Moicano is no stranger to playing the role of spoiler either. 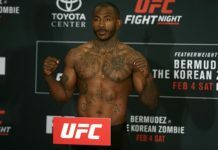 His victory over Swanson was in Los Angeles with the Southern California crowd firmly against him and was able to remove them from the equation to secure the first round finish. Notably, Moicano is getting his shot at Aldo at arguably the best time in the current featherweight division. 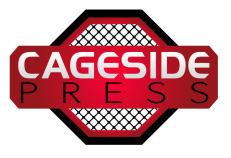 Contenders such as Zabit Magomedsharipov remain likely a win or two away from a title shot. 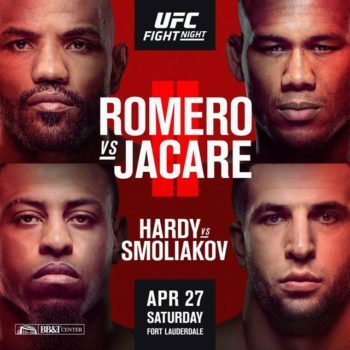 Should Moicano manage to overcome Aldo, it would be a race between himself and Frankie Edgar for who would be next in line for a shot at Holloway’s world title. 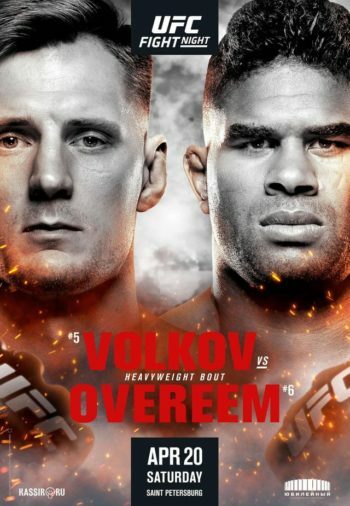 The bout figures to be one of the better match-ups to be made all year as both men are at their most dangerous when exchanging in the center of the Octagon. Both are very similar, although Aldo figures to be the more explosive and technical of the two. To the delight of fans, neither man is expected to use their grappling as opposed to going to war on the feet. Aldo should look to be aggressive at the beginning of each round to make Moicano respect his power before falling into his familiar strategy of feigning and countering. 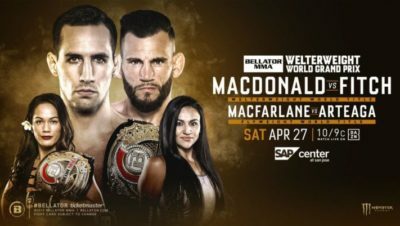 Getting into a brawl will give Moicano his best opportunity to get back into the fight so Aldo should focus on using his speed and power to do damage and then get out of range. To set-up his vaunted leg kicks, Aldo must utilize feints as it will make Moicano stationary for the brief second necessary to deliver the attack. Moicano’s two most notable assets are his durability and his leg-kicks. Though not to the level of Aldo, he uses kicks to great effect and his relentless attack has carried him to victory consistently. His key to victory is simple, he must get going early and maintain high volume in the face of Aldo. Aldo is notoriously difficult to take down and on paper is the better striker so Moicano should look to push the pace and force the former champion to fight off of his heels where he is less effective. Moicano is impressively durable and is completely capable of setting up the knockout if he is the one controlling the pace of the firefight. 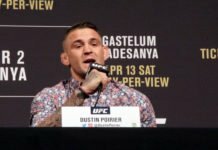 With Frankie Edgar still recovering and Zabit Magomedsharipov scheduled to face Jeremy Stephens in March, Renato Moicano could jump into a title shot depending on when the UFC chooses to schedule Max Holloway for his next outing. Aldo, rather surprisingly, has said he would go as far as to turn down a title shot to stick to his plan of retiring in 2019. Scheduling will become complicated in the coming months as either man is set up for a marquee bout moving forward.